Retail loyalty programs have a long history in the US. According to rewards program solutions company Smile.io, these programs started in the 18th century, when retailers would give customers copper tokens that could be redeemed for future purchases. Starting in the 1800s, US consumers began receiving green stamps for purchases; shoppers collected the stamps and redeemed them for products. The first airline frequent-flyer program was created for United Airlines in 1972. And today, we all likely have a card in our wallet from a neighborhood coffee or sandwich shop that promises “buy 10, get one free.” Many of us also have probably bought an unnecessary flight or an unnecessary sandwich at some point just to maintain or raise our rewards status. Although there are a variety of credit cards that offer cash back, airline miles or hotel points, and numerous restaurant and retailer rewards programs, a few of these programs are more advanced. These sorts of programs go much deeper, offering personalized services adapted to individual consumers based on an analysis of their data. For example, grocery chain Kroger leverages its data-analysis subsidiary, 84.51°, to analyze customer data in order to generate discounts on commonly purchased items as well as provide personalized product recommendations. It does this through its loyalty program card, which is the conduit for online and click-and-collect purchases. Then there is Starbucks, which has redefined the concept of loyalty. Through a combination of digital payments and rewards, Starbucks has created a “digital flywheel” comprising rewards, personalization, payments and mobile ordering—and the company has seen lifts in spending of 20%–70% after customers join its rewards program. 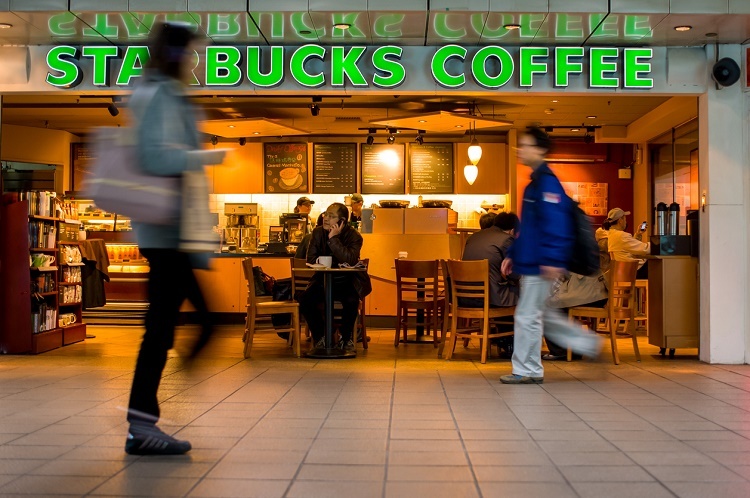 In its most recent quarterly report, Starbucks’ management commented that 44% of all transactions in the quarter were made using the company’s payment platform and that average spending increased by 8% over the period (quarterly net revenues were $5.3 billion). Following the launch of a spending-based rewards system, the company has used its “real-time personalization engine” to increase the number of real-time, personalized email variants from 30 to 400,000 offers and selling recommendations. Finally, Amazon has taken the concept of loyalty to a whole new level with its Prime program. Amazon Prime members receive a basket of services—including two-day free shipping, unlimited streaming of TV shows and movies, the ability to borrow books from the Kindle Lending Library, and many other offerings—in exchange for a $99 annual or a $10.99 monthly fee. There are also several Prime-only features, including Prime Now one- or two-hour shipping and the ability to use the Amazon Echo intelligent assistant. As Amazon has long targeted revenue growth ahead of profitability, it is likely that the value of these services exceeds the annual or monthly fee, providing significant value for the customer. Consumer Intelligence Research Partners has estimated that Prime renewal rates are 91% after one year and 96% after two years. Although it may seem that there is little room left for Prime to grow, as about 60% of all US households already subscribe, according to Piper Jaffray, that membership figure is even higher among higher-income households, at 82%. Amazon is also targeting lower-income households: the company recently announced a discounted monthly membership fee of $5.99 for those receiving government benefits. To further lock in loyalty, the company launched a rewards Visa card in January that offers Prime members 5% back on purchases made at Amazon.com (non-Prime customers get 3% back) and 1%–2% back on other purchases and purchases made at restaurants, gas stations and drugstores. In the end, it is all about the data. The three companies mentioned—Kroger, Starbucks and Amazon—have cleverly interwoven loyalty and payment functions so as to be able to collect a mountain of customer data that can be used to extend their customers increasingly relevant and personalized offers.